Ballmer's out, Satya Nadella is in. The search for Microsoft's third CEO is over. Thousands of people have a brand new boss, but what does that mean for you? You can read Microsoft's official announcement here, but you won't find much more than the usual press release cheerleading. Which makes sense; if the board didn't think highly of Nadella, they wouldn't have given him the keys to the castle. Besides, the more interesting details are all between the lines. The most immediate change you'll notice will be in personality; Ballmer was a boisterous, product-pimping, go-gett'em salesman, while Nadella is basically the opposite, a toned down, engineer who cut his teeth in Microsoft's enterprise wing. He's not likely to generate many GIFable moments. He's also, though, known as a collaborator, a likable, stable presence in a stressful environment. That should help Microsoft retain talent through this transition, but more importantly, it should help make the assimilation of Nokia as smooth as possible. As for the Microsoft products you use every day, don't expect to see much of a change. Inside the company, Nadella's built a reputation as something of a negotiator, apt at helping the mammoth company's various and often competing divisions get along as well as possible. That indicates that not only is Nadella unlikely to start chopping off limbs any time soon, he's almost definitely going to continue pushing Microsoft's One Device unification strategy even more aggressively. He's also got the skill set to make that happen. Nadella's primary focus, cloud power, is the underlying technology that helps bring disparate devices together. It's one of the biggest (unexecuted) promises of the Xbox One. Off-site horsepower could help bestow processor-intensive superpowers on Windows Phones everywhere. It could turn Surfaces into supercomputers. In "devices and services," the power of Microsoft's cloud pretty much is the service. 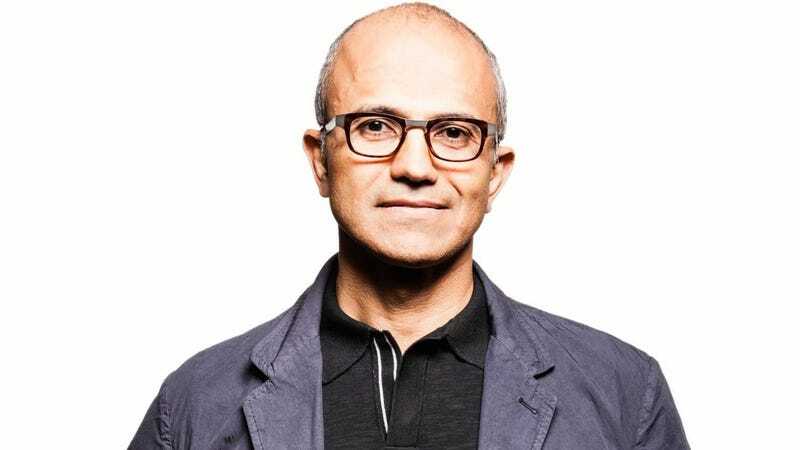 Of his 22 years at Microsoft, Nadella has spent virtually all of them working with servers in the branch of Microsoft that was reorganized into Azure. The cloud is Nadella's baby. And it's why he's the new CEO. Yes, lot of his focus will likely continue to be on the the enterprise side of things, where Microsoft's successes and failures are largely hidden from us consumers and fanboys. But Nadella's hire indicates a Microsoft that is comfortable with the direction it's chosen, that wants to keep pushing forward on strategies that haven't yet paid out. In some ways, it's a bolder risk than taking in an outsider to shake things up. What can you expect from Microsoft over the next few years? More of the same. An evermore consistent and unified Microsoft, devices that communicate seamlessly, homes connected to phones connected to PCs connected to Xboxes connected to whatever else the future holds. An intricate web of Microsoft products, spun in the cloud.